PHOTO: Trump has Pelosi’s luggage deliver right to her door! FREE BEACON – Speaker of the House Nancy Pelosi’s luggage has been returned to the halls of congress by cart, according to a picture sent to the Washington Free Beacon by a snap-happy tipster. 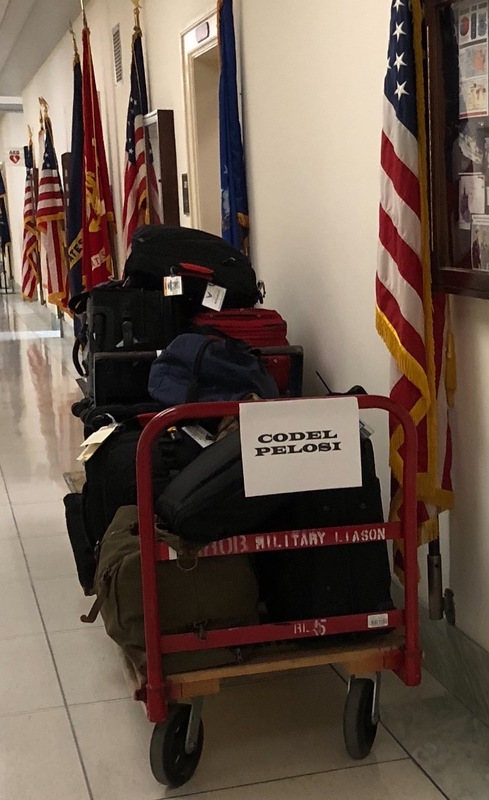 The picture shows the luggage were returned to Pelosi on “military liaison” marked carts. I’m sure she appreciates that. LOL.